Back in August, Marvel Studios President Kevin Feige made mention of the fact that they were making plans for their future films that stretched all the way to 2021, which seemed like a long ways off at the time. Now, in a recent feature story at Businessweek, Feige spoke about a “map” on his office wall that showcases their plans for the future which he called “like looking through the Hubble telescope” that goes even further into the future. 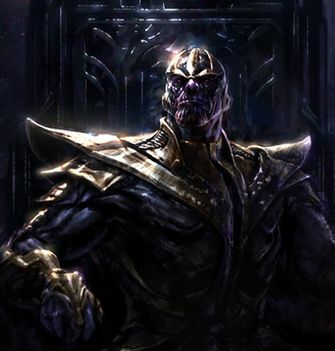 Feige nor the site would reveal which villain, but if we’re betting on this “imposing villain” who sits on a “rocket-powered throne” our guess is going to be Thanos, who had a brief cameo in a post-credit sequence in 2012’s The Avengers. His presence has yet to be confirmed for the upcoming Guardians of the Galaxy, which will hit theaters August 1st, but these ambiguous teases from the head of the studio seem to indicate we’ll be seeing him on the big screen again very soon. What films do you hope to see Marvel Studios produce in the future?